In celebration of National Pancake Day, IHOP restaurants nationwide are offering each guest a free short stack of buttermilk pancakes Tuesday, February 23 in an effort to raise awareness and funds for Children's Micracle Network hospitals. IHOP's goal this year is to raise $1.75 million with its National Pancake Day fundraising area. Donations made in the Chicago area benefit the Children's Miracle Network program at Children's Memorial Hospital. 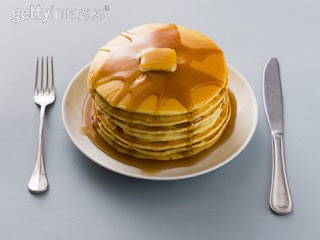 On National Pancake Day 2009, IHOP served more than 2.5 million free pancakes, which if served together, would create a stack more than 20 miles high. Since the inception of National Pancake Day in 2006, IHOP has raised more than $3.25 million and given away more than 6.1 million pancakes to support charities in the communities in which it operates. For 51 years, the IHOP family restaurant chain has served its world famous pancakes and a wide variety of breakfast, lunch and dinner items that are loved by people of all ages. IHOP offers its guests an affordable, everyday dining experience with warm and friendly service. The first IHOP opened to Toluca Lake, Calif. in 1958, and as of September 30, 2009, there were 1,433 IHOPs in 50 states, Canada and Mexico. IHOP restaurants are franchised and operated by Glendale, Calif.-based International House of Pancakes, LLC and its affiliates. International House of Pancakes, LLC is a wholly-owned subsidiary of DineEquity, Inc. (NYSE: DIN).